About 98% of our customers use the RADIUS protocol to enable two-factor authentication for networking equipment, VPNs. etc. 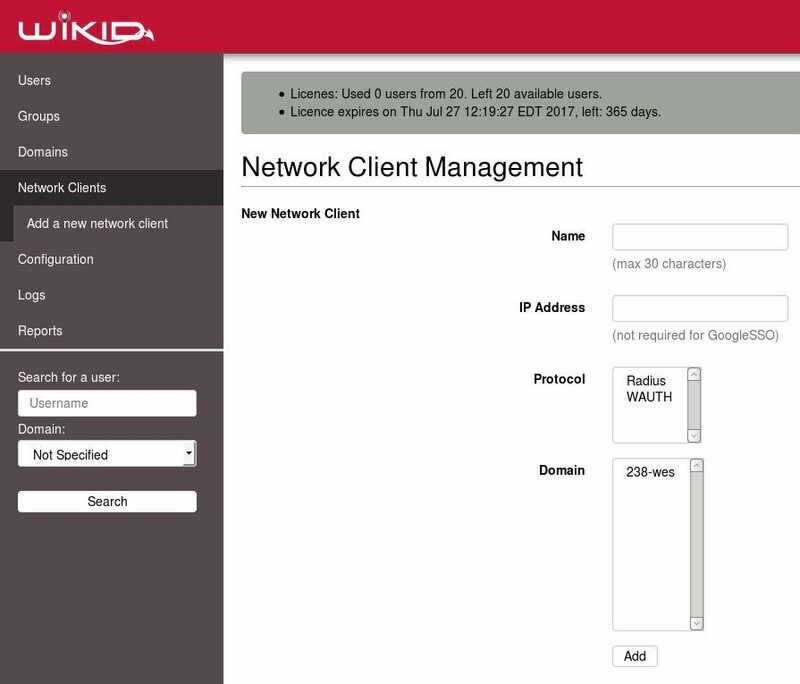 After you have downloaded the WiKID two-factor authentication server, installed it and configured it, you will want to add Network Clients. This can either be your RADIUS server if you are using freeradius or NPS (which we recommend) or a Cisco ASA or any VPN if you want them talking directly. 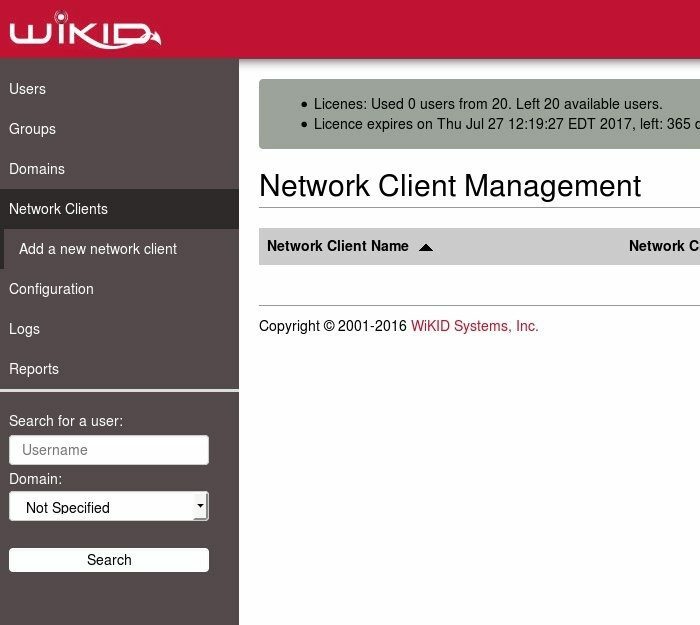 On the WiKIDAdmin click on the Network Clients tab. Click on Add a New Network Client. Enter the Shared secret. Remember this must match what is entered in the RADIUS server, VPN etc or WiKID will not be able to decode the RADIUS packets. NB: PAP, CHAP, MSCHAP, MSCHAP2. and EAP with MD5 are automatically detected. If you are using LEAP, change the dropdown to LEAP.